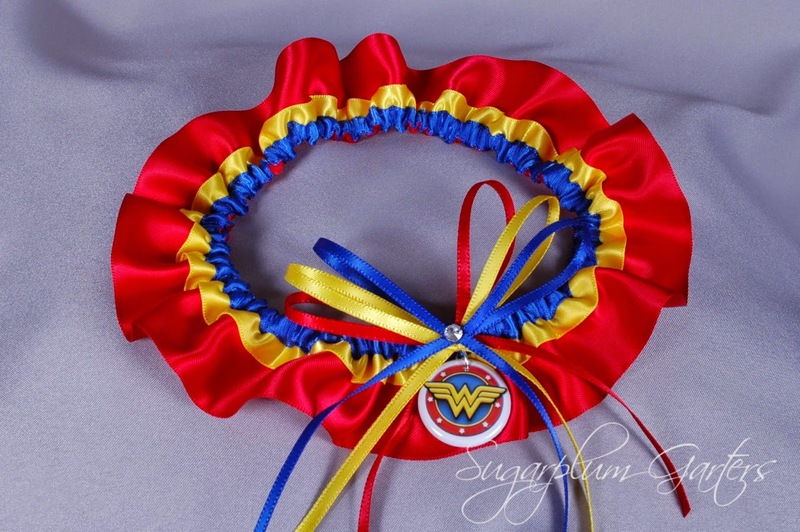 Sugarplum Garters: Wonder Woman Explosion!!! I'm not sure what the reason is, but demand for Wonder Woman has been crazy lately! I sold four of them last week alone! This one was shipped out late last week to bride Cassandra who's getting married in a few short weeks. 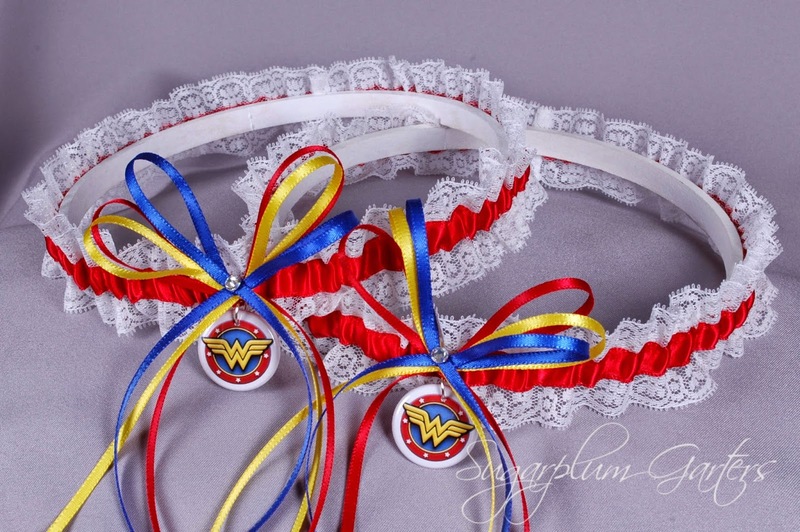 I'm excited to debut my new lace Wonder Woman garter set ~ perfect for the bride who loves the warrior princess but is looking for a garter that's a bit more feminine. Both versions are available in my shop at www.sugarplumgarters.com!